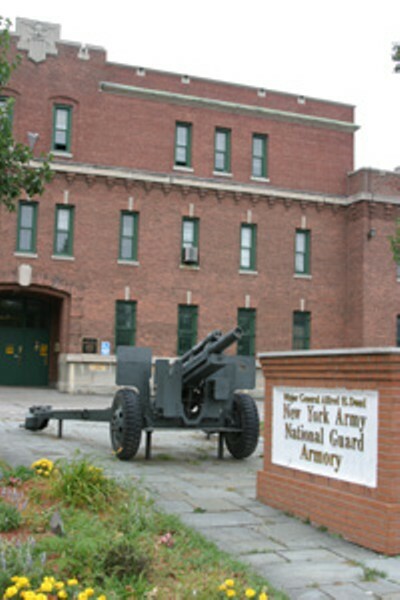 Photo by Jason Woz Talking point: The Culver Road Armory. This Saturday marks a chance for residents of the Upper Monroe to stake a claim for the future of their neighborhood. The Upper Monroe Neighborhood is that triangle of city residential streets along Culver and Monroe bounded by 490. "It's not a neighborhood that's in bad shape, but it's in mediocre shape. And it's been in mediocre shape for a while now," says Elizabeth Wallace. Wallace doesn't actually live in the neighborhood, but she's a member of the economic committee of Third Presbyterian Church, one of the key players in the charrette. When Wallace views the neighborhood, she sees a ton of potential for improvement. Upper Monroe is home to one of the city's more desirable residential streets --- the picturesque Crossman Terrace --- but it's also home to a high number of rental properties and vacant buildings. "We don't want to accuse anybody of allowing loitering or drug dealing, but some of that does occur," Wallace says. "If landlords improve their property, they can charge more rent." When it comes to the Armory, that mammoth structure on Culver near the 490 overpass that has been rumored most recently to become a performing arts complex, residents will get a chance to voice their opinions. The Armory is home to "a tremendous amount of greenspace and building space," says Rochester Regional Community Design Center Executive Director Joni Monroe, who will be leading the charrette. "The performing arts center idea is still on the table, though. And focus groups will be encouraged to be sensitive to that." Some Upper Monroe residents feel Cobbs Hill Park along Culver Road "is not very inviting," says Wallace. "We'd like to make it a more vital part of the community. There are lots of little things that can be done to make that section of the park more inviting." All this brainstorming is great, but what becomes of it once the day is done? All the written comments from the charrette will be compiled into a summary report. Then a smaller steering committee will use the report to establish a list of short- and long-term goals for the neighborhood. This will be followed by more public meetings. And from there? "It really depends," Monroe says. "There are a lot of possibilities. The most dramatic example of what can happen during a charrette is ARTWalk [the award-winning urban art trail along University Avenue]. That's a dramatic development. But it depends on the area and what's readily achievable." And when it comes to solving the problem of vacant properties, Monroe says all you have to do is look back to University Avenue circa 1980. "The entire Flatiron Building was vacant," she says. "My Upton Park house, when I purchased it in 1978, was boarded up. Nothing will turn around unless people roll up their sleeves. I don't care what community you live in. If there are vacancies, they are vacant for a reason. Over time, if dollars are invested and physical changes take place, everybody gets a sense of community to work together. Bringing people together around some of these issues makes the community stronger." The Upper Monroe Neighborhood Association's Design Charrette takes place on Saturday, October 16, at New Life Presbyterian Church, corner of Monroe and Rosedale, from 8:30 a.m. to 4 p.m. Continental breakfast and buffet lunch provided. Pre-registration preferred. 256-2720.